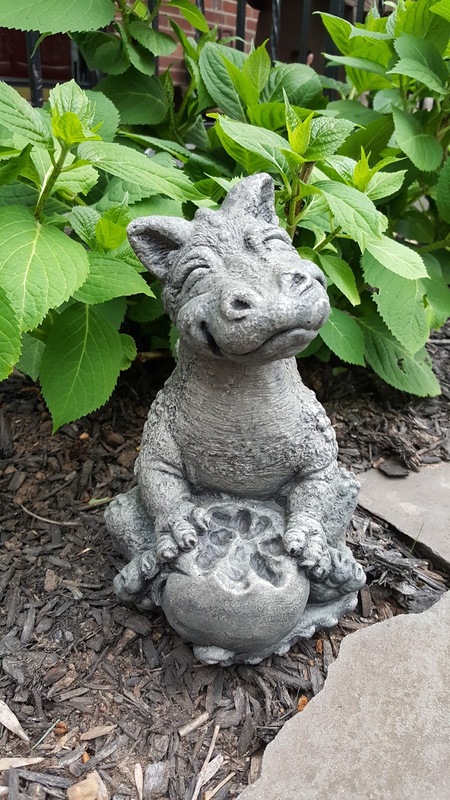 As a lover of dragons, I couldn't resist writing a brief post about the garden statues pictured below. Two years ago, my wife and I were buying our spring flowers at Wendy's Flowers & Garden Center in Gilbertsville, PA. While purusing the garden statue section, we discovered these adorable dragon statues. 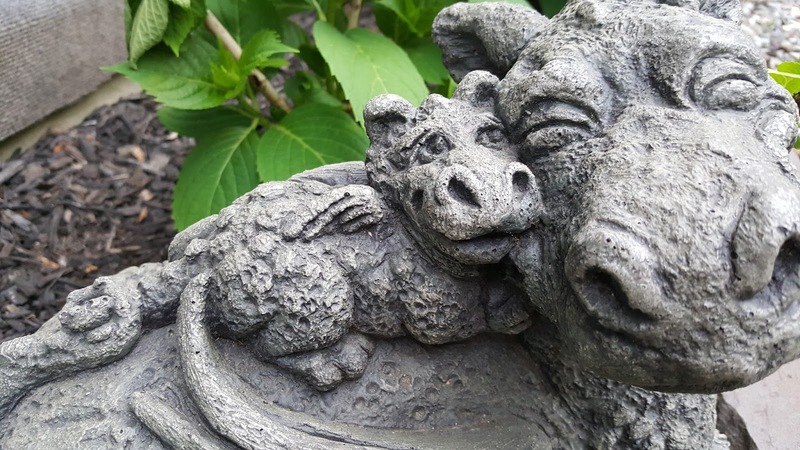 They were unlike any dragon statues I had seen before. 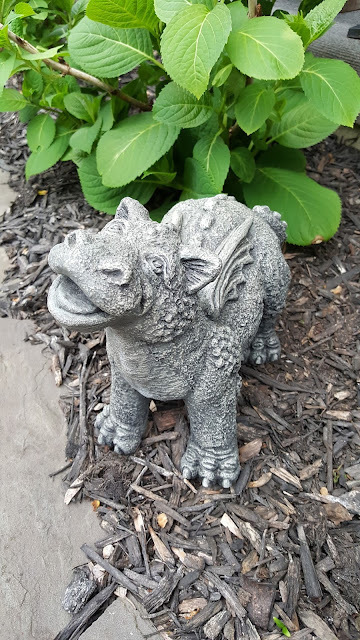 My love of animation, no doubt, had something to do with it as these little guys look as if they flew out of a Disney film. 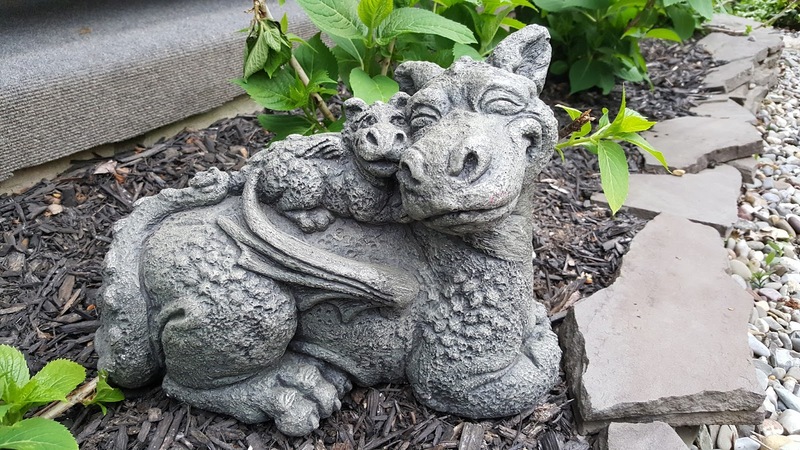 We purchased the momma with her baby, and this past weekend I picked up two more little ones. 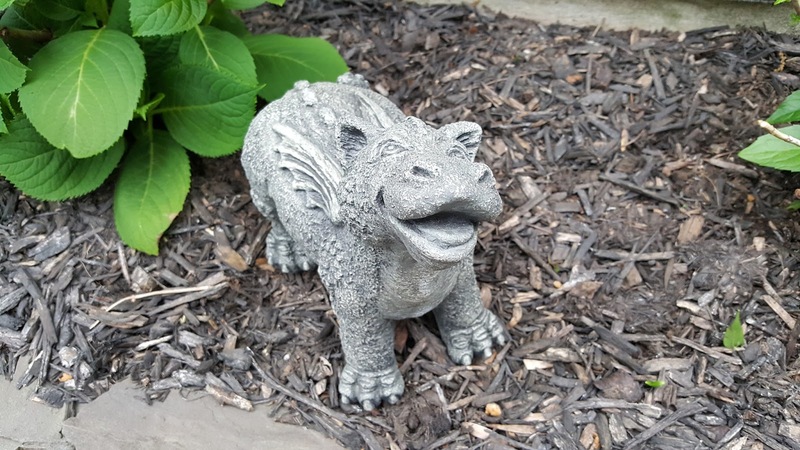 The statues are crafted and sold by Massarelli's - makers of fine stone garden accents out of Hammonton, NJ. The statues pictured below are from my own garden, but more can be viewed HERE at Masserelli's website. 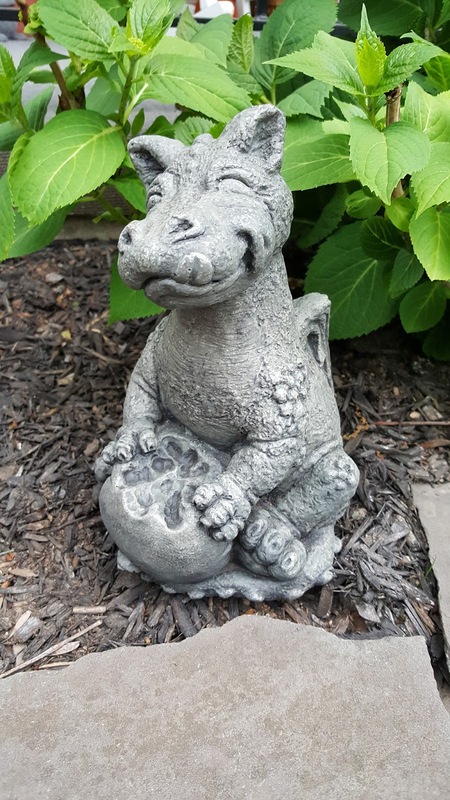 If you're interested in purchasing a dragon statue of your own, check the "Dealer Locator" search engine of the site to locate a dealer near you.